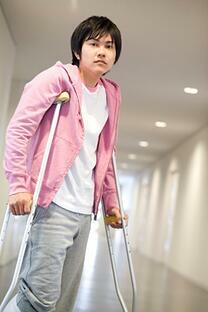 A person has a limited amount of time to sue for personal injuries. The Statute of Limitations is a law that sets forth the time period by which a lawsuit must be filed. If a plaintiff (the person filing the suit) fails to file the lawsuit within the defined period of time, then the plaintiff will likely be barred from pursuing the case further. New Jersey law has various statutes that govern how long you have to file a lawsuit. The time limits within which one must file a lawsuit can be found in various statutes, including, but not limited to, the New Jersey Statutes Annotated (N.J.S.A.) at N.J.S.A. 2A:14 and N.J.S.A. 2A:31 (wrongful death actions). 1. New Jersey Personal Injury Lawsuits. For adults these lawsuits must be filed within 2 years from the date of the injury. For example, if you are involved in a car accident or slip and fall, you must file your lawsuit within two years of the date of the accident that you suffered that injury. For Minors, these lawsuits must be filed within 2 years of the person's 18th birthday. 2. New Jersey Medical Malpractice Lawsuits. Minors - within 2 years of the person's 18th birthday (except for injuries which occurred at birth, see below); Minors (for injury at birth, only if born before July 2004) - within 2 years of the person's 18th birthday; Minors (for injury at birth, only if born after July 2004) - by the person's 13th birthday. 3. New Jersey Wrongful Death Claims. These lawsuits must be started within 2 years of the decedent's date of death (claims for pain and suffering prior to death must be brought within the 2 year time limits set forth above). A Minor must file a Notice of Tort Claim no later than within 90 days of the person's 18th or 13th birthday (depending upon whether or not there is a medical malpractice claim for an injury which occurred at birth - see above). After the tort claim notice is properly filed an adult has two years from the date of accident or occurrence to file a lawsuit and a minor two years from their 18th birthday or as set forth above in Medical Malpractice cases. 5. New Jersey Product Liability Lawsuits. Within 2 years of the date of occurrence . For more comprehensive and updated information with regard to mandated requirements applicable to Statutes of Limitations, always consult with an attorney in New Jersey. To read applicable sections of N.J.S.A. 2A:14 and N.J.S.A. 2A:31 (under Title 2A), log on to the New Jersey State Legislature Database. There are various nuances and potential exceptions, such as a legal principle called the discovery rule, which could extend the statute of limitations. The facts of each case must be discussed in detail with a personal injury attorney in order to evaluate the proper time limitations. You can contact our New Jersey Personal Injury Lawyers online. Our New Jersey law firm offers solutions to persons that have suffered serious personal injury throughout the cities and towns of New Jersey, including but not limited to Wayne, Hoboken, Newark and Hackensack.